DM-6 Head - DM-6 Alt-Azimuth mount. Head only, Manual & adjustment wrench. 8” Tilt-in Saddle 3 - use with dovetail plates to allow fast and convenient interface with your telescope to the DM-6 mount head. 8" Dovetail Converter - In conjunction with Discmounts’ new 8” Tilt-in Saddle-3, this now allows the use of your 1.5” to 2” wide dovetail plates. 9" Slotted Dovetail Plate III - Compatible with Losmandy D Style dovetail plates. 9" MP Dovetail Plate II - Compatible with Losmandy D Style dovetail plates. 1.9" x 7" Dovetail Plate - Used with 4” Tilt-in Saddle or 8” Tilt-in Saddle and Dovetail Converter to mount small telescopes to DM-4 or DM-6. Universal Angled handle for DiscMounts' Tilt-in saddle. DM-6 to Losmandy tripod adapter plate. DM-6 to AP tripod adapter plate. TeleVue Starbeam angle mounting plate. DM-6 8" Tripod Extension - Top is 6" in Dia. with 3/8-16 knob. Bottom is 6" in dia. with 3/8-16 hole. DM-6 Eyepiece Tray - An eyepiece tray that mounts on top of the DM-6 mount, allowing quick changing of your favorite eyepieces. 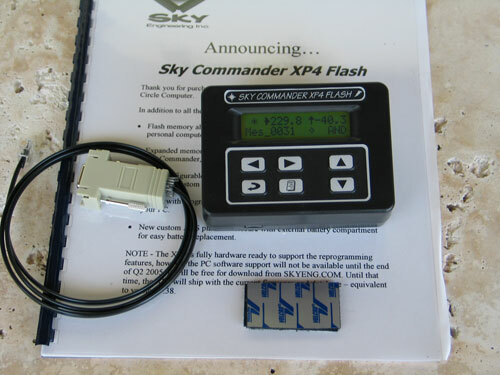 DM-6 Sky Commander DSC Kit with Top Mount - Sky Commander XP-4, Encoders, internal cabling and Top Mounting Shelf. All you need to make your DM-6 PUSH-TO. DM-6 Sky Commander DSC Kit with Eyepiece Tray - Sky Commander XP-4, Encoders, internal cabling and Eyepiece Tray with Sky Commander mount. All you need to make your DM-6 PUSH-TO. DM-4 Head - DM-4 Alt-Azimuth mount. Head only, Manual & adjustment wrench. 4" Tilt-in Saddle-3 - used with dovetail plates to allow fast and convenient interface with your telescope to the DM-4 mount head. 7" Slotted Dovetail - Compatible with Losmandy D Style dovetail plates. 7” Long, 3” across Dovetails, 4” Across top. Large Camera and Spotting Scope Shoe - Allows large format cameras such as the Hasselblad, long telephoto camera lenses, and spotting scopes to be used with the 4” Tilt-in Saddle with Dovetail Converter. Wimberley Clamp (saddle) adapter - Allows the Wimberley Clamp to be mounted to the DM-4. GRAB & GO BAG FOR DM4 - Have your DM-4 all ready to walk out the door with this Grab & Go bag. Fits your DM-4 with accessories. DM-4 8" Tripod Extension - Top is 4" in Dia. with 3/8-16 pin. Bottom is 4" in dia. with 3/8-16 hole. DM-4 Eyepiece Tray - An eyepiece tray that mounts on top of the DM-4 mount, allowing quick changing of your favorite eyepieces. DM-4 Sky Commander DSC Kit with Top Mount - Sky Commander XP-4, Encoders, internal cabling and Top Mounting Shelf. All you need to make your DM-4 PUSH-TO. DM-4 Sky Commander DSC Kit with Eyepiece Tray - Sky Commander XP-4, Encoders, internal cabling and Eyepiece Tray with Sky Commander mount. All you need to make your DM-4 PUSH-TO. Price does not include Shipping, Insurance or Handling. Contact for Quote. Not responsible for any errors including typographical. We accept Bank Checks, Money Orders, or Personal Checks. We wait for personal checks to clear. *No credit cards. No Pay Pal. There is a $25.00 charge for US bank to bank wire transfers and a $60 charge for International bank to bank wire transfers. The DiscMount and DiscMount accessories come with a one year warranty from date of shipment on parts and labor. If the DiscMounts or its associated parts fail due to defective material or workmanship within one year of shipment, the unit or parts will be repaired or replaced free of charge. The unit or parts will be shipped free of charge one way (US orders only). Damage done due to incorrect installation or abuse is not covered by this warranty. All returns must be approved prior to shipping back for this warranty to remain in force. Parts and labor only included on International orders. Call for details. Please call (954) 475-8574 for return authorization. Please Note: Third party accessories sold by DiscMounts, Inc. are warranted by the original manufacturer. DiscMounts, Inc. is not responsible for any third party accessories or it's effect on DiscMount's mounts or DiscMount's accessories, except those listed in our catalogue.